Looking to learn from the best in the industry? Get trained with Esme! International celebrity Makeup Artist and Beauty Expert Esme Winterflood, offers exclusive and comprehensive training in the application of eyelash extensions. She provides expert instruction to cosmetologists and estheticians wishing to enrich the services provided by their spa, salon, or private practice. There is a burgeoning market and high demand for qualified estheticians who offer eyelash extensions and Esme Winterflood presents a unique and cutting-edge approach to the world of eyelash extension application. Esme's goal is to teach students the techniques of lash application in a precise and thorough way, and how to translate that in to a successful business. Many eyelash extension training programs rely on video instruction without properly preparing students for the reality of lash application. Esme believes in the importance of one-on-one instruction, which gives the students a hands-on approach in class so they become more confident to practice the art of eyelashes extension in their own business. Additionally, proper safety instruction and the use of only high quality products are always a priority. Esme offers both beginner and advanced courses as well as the Lash Lift and Lower Lash techniques. Professional certification will be awarded upon completion. 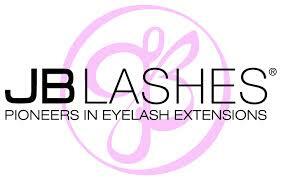 Certification for insurance is provided by JB Lashes. Please contact Esme at info@esmewinterflood.com or at (310) 503 4945 for dates and details!